If your a gardener then I’m guessing that your probably familiar with this little “weed”. And if you know this one then you probably know its taller narrow leaf cousin. But what you may not know is just how remarkable and practical this commonly overlooked plant truly is! 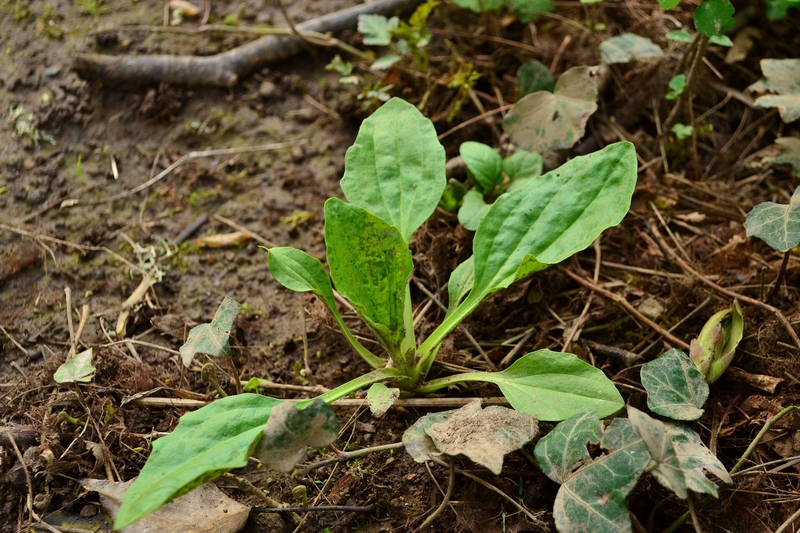 Juvenile Plantain plant in early spring. 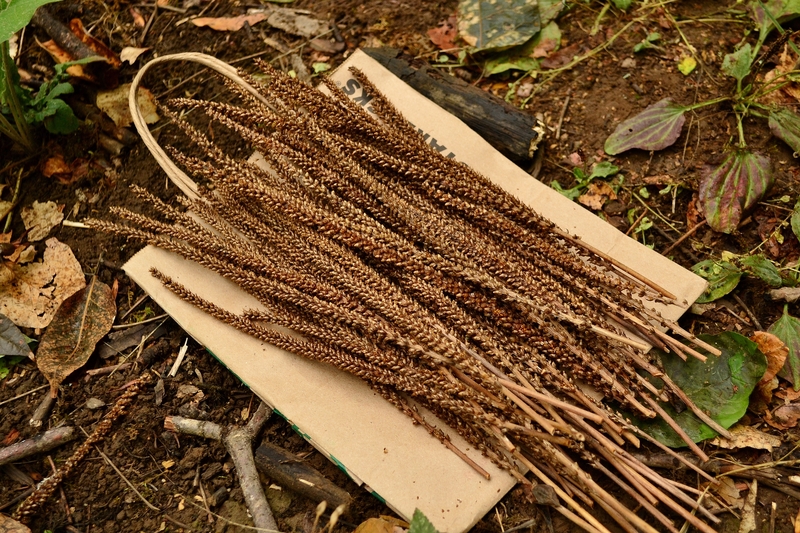 Common Plantain, (Scientifically known as Plantago major) is one of the most abundant and widely distributed medicinal crops in the world! Once considered a cure all, this highly adaptable plant was cultivated where ever the early settlers landed their feet. In fact the Native Americans often regarded Plantain as Englishman’s Foot, or White man’s foot. 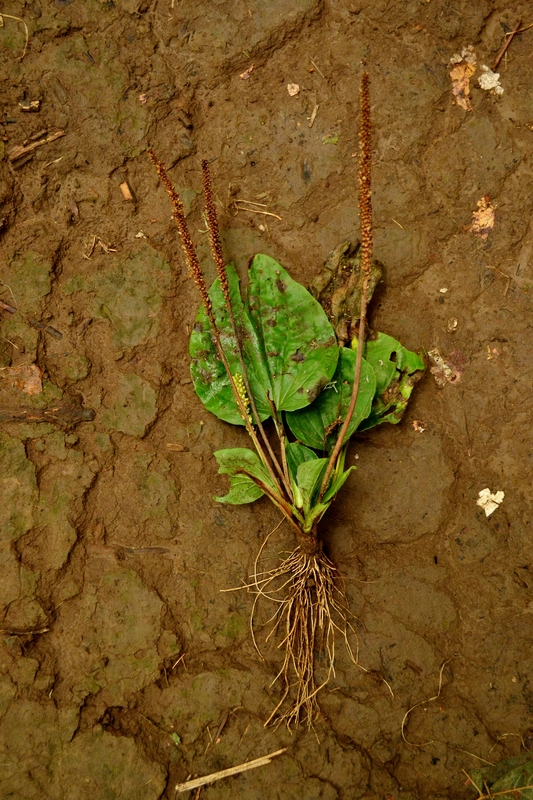 And although native to the Eurasia continents, Plantain was quickly naturalized around the globe. The entire plant is edible and the young leaves can be eaten as a fresh vegetable and makes a great addition to salads. Cook the older more fibrous leaves as you would spinach or chop and add to stir fry or stews. The young green flower stalks can be eaten raw or cooked as a vegatable. And mature seeds can be collected, threshed and milled into a flour. The whole seed also makes a nutritious additive to rice or oatmeal. Plantain leaves are a great source of vitamins A, C, K, calcium and dietary fiber. Eat the leaves fresh when young and tender. Once they mature their tough fibers, you will want to cook them. The dried seeds are a great source of fiber, and studies have shown a reduction in cholesterol when consuming Plantago seeds. Pull the seed stalk between the teeth of a fork to easily remove the seeds and husk. 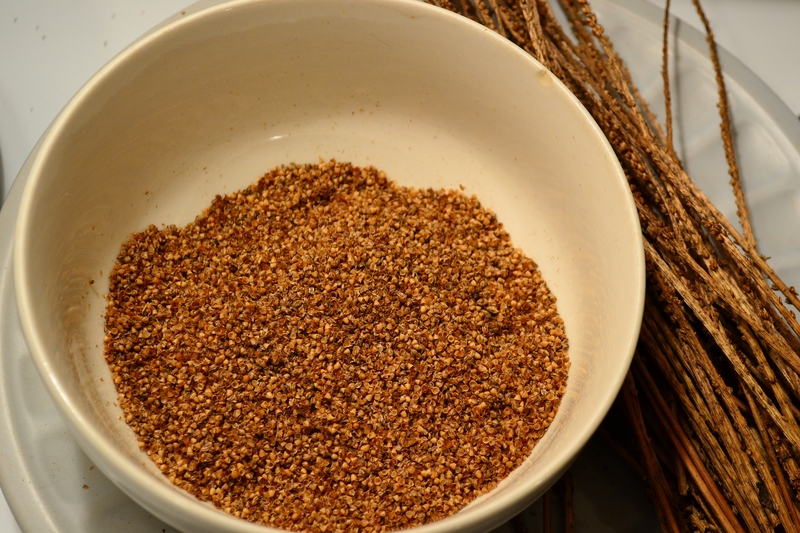 Plantago contains a number of healing agents good for both internal and external ailments. The active chemical constituents are aucubin (an anti-microbial agent), allantoin (stimulates cellular growth and tissue regeneration), and mucilage (reduces pain and discomfort). * English herbal books have the writings of Plantains many benefits dating as far back to the 1500’s. 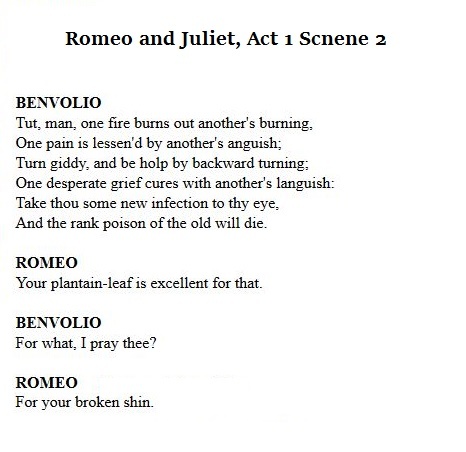 It was such a popular medicine in its time even Shakespeare himself referenced Plantain. An old folk poultice is made by crushing or chewing the leaves and applying directly to the wound. A poultice is used to relieve and aid the healing of cuts, stings, hemorrhoids and urinary infections. A detoxifying tea is made for treating tubercular ulcers and diarrhea. The seeds are rich in fiber promoting regular bowel movement, and their mucilage may lower cholesterol. 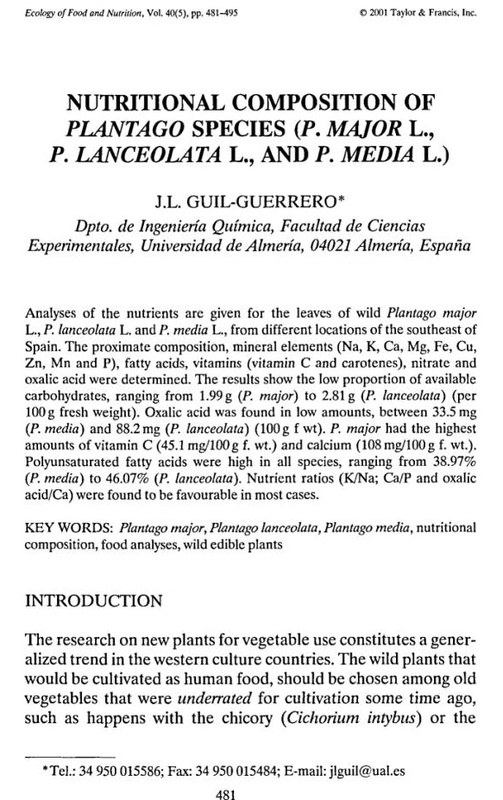 Some species of Plantago seed can absorb up to 25 times their weight in water, forming a soothing gel found in laxatives and weight loss products. 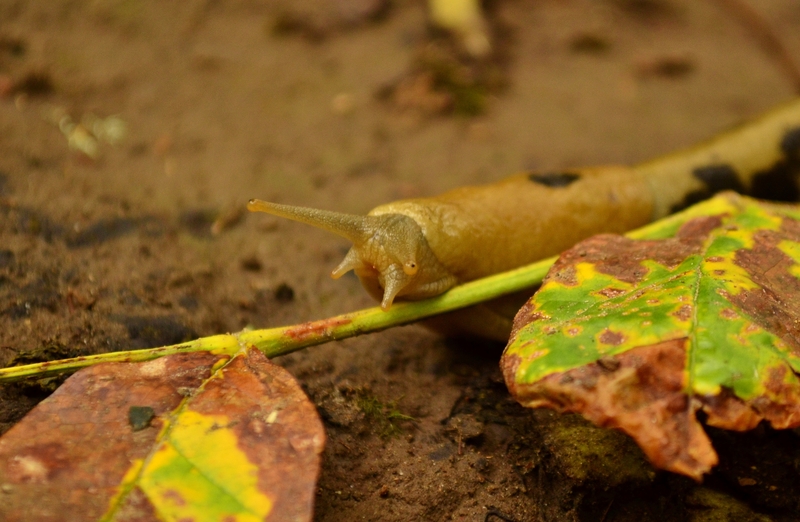 A fellow forager, the Banana Slug – Ariolimax columbianus. 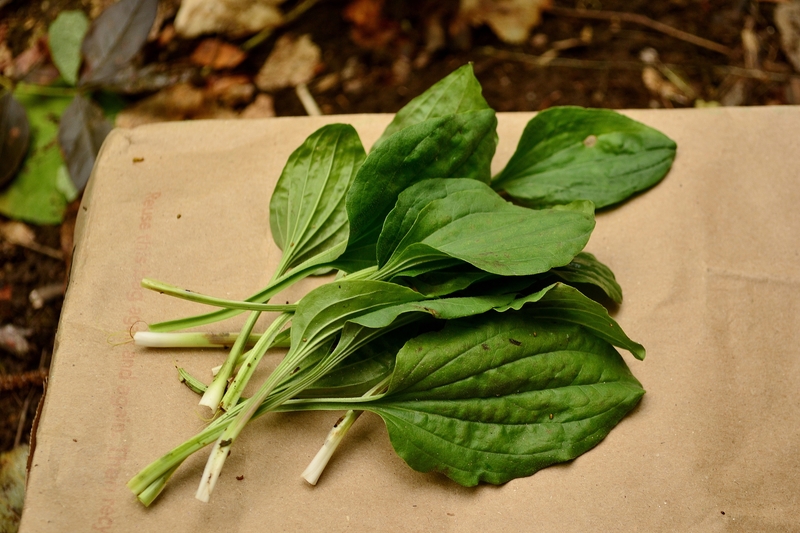 Try these websites for great recipes to cook up Plantain as well as other wild edibles. Click here for these recipes: Roasted Plantain Chips, Plantain Soup, Stuffed Plantain Leaf, Plantago Side Dish. Basal rosette of thick-stemmed, broadly elliptic to egg shaped leaves with fibrous parallel veins. Spike of inconspicuous flowers borne in early summer forming brown seeds well into fall. Disturbed areas, roadsides, fields, pastures, lawns, side walks, open woods. Highly adaptable, native to Eurasia virtually cosmopolitan.